This is the 14th installment in a series by a Franklin County Ohio Family Law Attorney about the process and options for ending your marriage in Ohio, and about Ohio divorce laws. This article discusses Interstate Divorce between two parties who do NOT have children. Interstate child custody jurisdiction and interstate child support jurisdiction will be talked about in other installments in the series. Suppose two parties live in different states, and one or both of them, has decided that the marriage should end. So where do they file? Part 11 of this series, Part 11: Columbus Ohio Divorce Jurisdiction, talked about Ohio’s jurisdiction to end the marriage ONLY. What about when when a husband or wife wants Ohio to enter orders about the other spouse’s money or property? For a court to order someone to pay money, or make orders about dividing his or her property with their spouse, the court must have personal jurisdiction. Here’s the catch: a state that has in rem jurisdiction over the marriage because one of the parties lives in the state can end the marriage, but a court cannot order somebody to pay money unless the court has personal jurisdiction over the person who will be paying money. Personal jurisdiction for divorce purposes is about how much contact a person has with a state, in this case, Ohio. Spouse 2 owns property in Ohio, but has no other contact with Ohio. Spouse 1 lives in Ohio. Spouse 2 has visited Ohio, but has never established a residence or business here and was not served with court papers while here. Spouse 1 has put some bills into Spouse 2’s name and had them mailed to Ohio, but Spouse 2 does not live in Ohio. Spouse 1 and Spouse 2 got married in Ohio, but Spouse 2 has not lived in Ohio during the last six months. Spouse 1 and Spouse 2 had a long distance relationship and a long distance marriage. They got married in Ohio but Spouse 2 has never lived in Ohio, only visited. Spouse 1 and Spouse 2 had a long distance relationship and a long distance marriage. Spouse 2 lived in Ohio during the last six months. The parties got married in Maryland. Spouse 1 lives in Ohio and Spouse 2 lives in West Virginia. Spouse 2 went to Ohio to deliver some belongings to Spouse 1, and while Spouse 2 was in Ohio, Spouse 2 was served with a summons and complaint by a process server or sheriff. Spouse 1 files a divorce in Ohio. Spouse 2 lives in North Carolina, has never lived in Ohio, but is properly served in North Carolina with Spouse 1’s Summons and Complaint for Divorce. Spouse 2 ignores the documents because Ohio does not have personal jurisdiction. Therefore, the legal defense of lack of personal jurisdiction is not raised, and is forever waived. Spouse 1 files a divorce in Ohio. Spouse 2 lives in Florida, has never lived in Ohio, but is properly served in Florida with Spouse 1’s Summons and Complaint for Divorce. 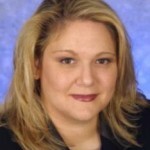 Spouse 2 hires an Ohio attorney to raise the defense of lack of personal jurisdiction. Unfortunately, that attorney files a general Notice of Appearance, which does not raise the personal jurisdiction challenge. Personal Jurisdiction is waived and the divorce proceeds in Ohio. In summary, if you are going to want the court to order Spouse 2 to pay money, you must file in the state that has personal jurisdiction over Spouse 2. Even if Spouse 2 makes a mistake and files the wrong paper, plan to spend some time and money in court arguing over whether they had their shot and they blew it. Rather than go that route, it’s best to file in the state that has the proper jurisdiction in the first place. 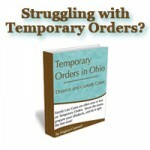 In addition to the other installments in the Divorce in Ohio Series (see links at top of the page), you may also find the following topics, which relate to divorce, to be helpful.